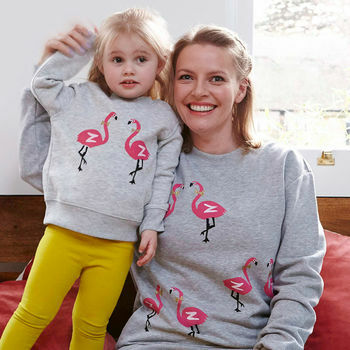 Flamingo Handprinted Mum and child sweatshirt set. 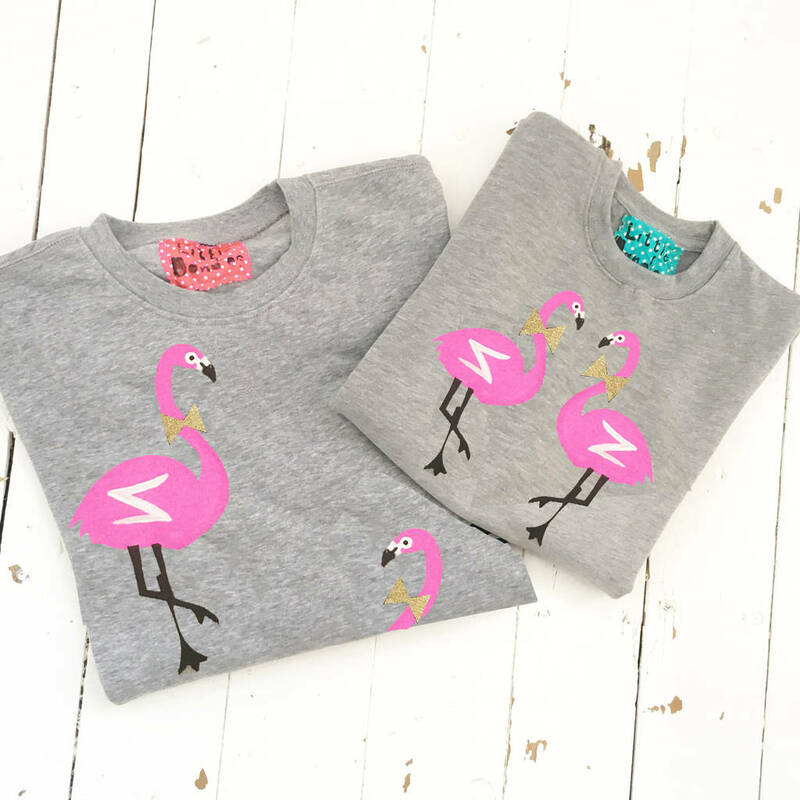 A funky grey marl Mum sweatshirt and children's sweatshirt or baby grow. We have a wide range of animal print t shirts in funky bright colours as well as long-sleeved options, please see sellers 'complete range' on the right. 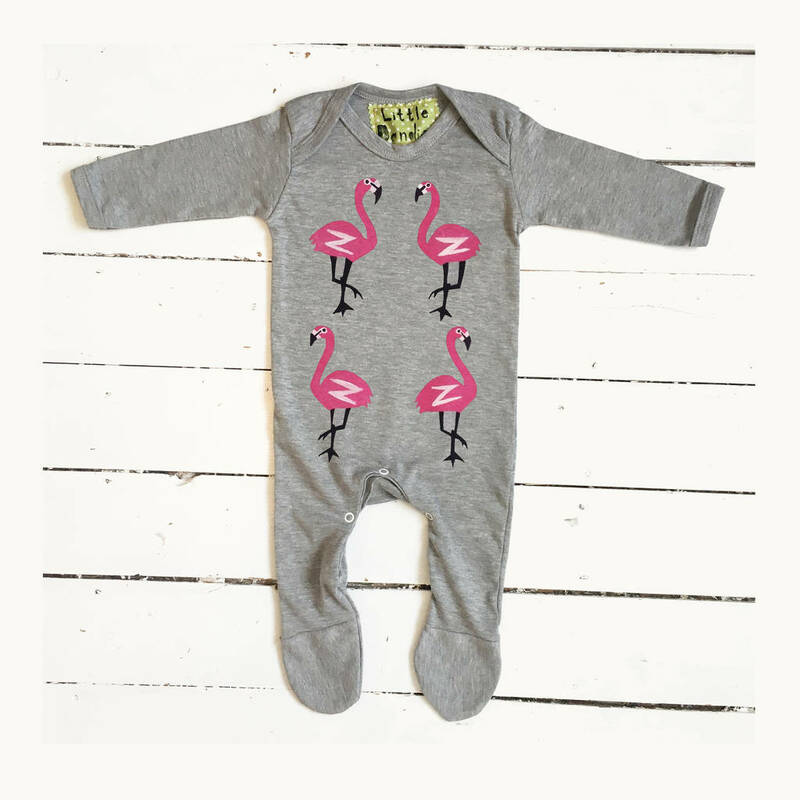 Mum and kids flamingo sets are also available in personalised T-Shirts. All our animal t shirts are hand-printed by us in the UK, every one is unique and special. Great present for mums and there little boys or girls. Babygrows are available in 0-3, 3-6 & 6-12 months Children Sweatshirts are currently available in 1-2 & 3-4 & 5-7 years. Mum's Small, Medium Large and X Large. This is designed as a medium loose fit sweatshirt.